Des Plaines – Earlier today, Mariano’s groceries opened it’s newest location in the city of Des Plaines, creating 375 new union jobs for area residents. State Senator Laura Murphy (D-Des Plaines) joined with local officials and Mariano’s President Dan Rosanova to announce the opening. The new jobs announcement is in stark contrast to the ongoing message from Governor Bruce Rauner, who continues to demand anti-worker measures that will lower wages before he will sign a state budget. His demands have led to a nearly two-year budget impasse. 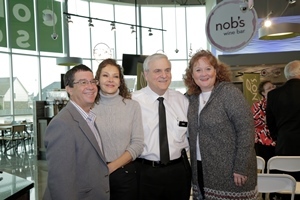 The new store is part of a public-private partnership with the Des Plaines Park District and Mariano’s. Mariano’s has pledged $670,000 for park improvements. 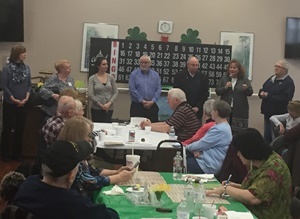 SPRINGFIELD – State Senator Laura Murphy (D-Des Plaines) helped raise awareness for senior hunger today by participating in Mayors for Meals at the Schaumburg Barn. Local mayors, government officials and other community representatives served nearly 50 meals to local seniors in the 28th District. Mayors for Meals is a component of the National March for Meals campaign sponsored by the Meals on Wheels Association of America. The Schaumburg Barn senior nutrition program organizes a March for Meals event every year to help generate public awareness, volunteers and donations to provide healthy food to vulnerable seniors. The Schaumburg Barn, operated by the Village of Schaumburg, offers food, fun and fellowship to senior citizens and people with disabilities. The Barn is open 10 a.m – 2 p.m. Monday through Friday. To learn more about the Barn’s nutrition programs and other senior services visit www.villageofschaumburg.com. SPRINGFIELD – Only about 18 percent of Illinois companies have women on their corporate boards, despite a recent study by the Credit Suisse Report that shows that companies with women on their boards tend to be less risk-averse and have higher income growth. 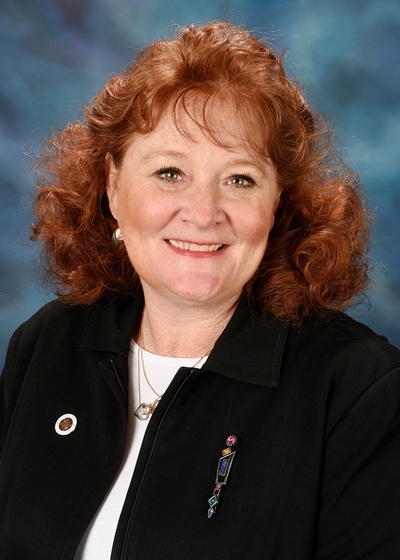 State Senator Laura Murphy is authoring Senate Resolution 140, which encourages more equitable and diverse gender representation on corporate boards and urges corporations in Illinois to increase the number of women on their boards. “Women are a vital part of our nation’s workforce, and it’s past time for them to be represented at the highest level in their companies,” Murphy said. Murphy’s resolution passed a key Senate committee this week and is now headed to the full chamber. 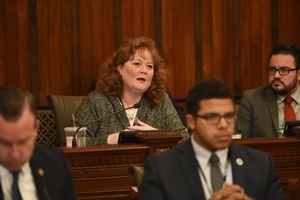 SPRINGFIELD – Over the course of a week, Illinois Senate committees asked more than a dozen of Governor Rauner’s cabinet directors to identify budget cuts to reduce the $5 billion budget hole proposed by the governor earlier this year. At the end of the week, Rauner’s administration was unable to identify a single dollar in savings. 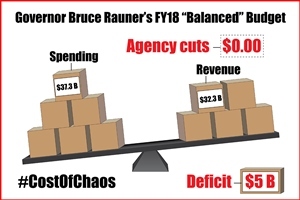 “The Rauner administration failed to provide the Senate any budget cuts nor did he provide his staff with any direction on cuts to help resolve this two-year budget impasse,” said Laura Murphy, a Des Plaines Democrat. Previously, the Senate had constructed a budget and reform package containing a dozen proposals. After nearly half the proposal passed the Senate with bipartisan support, the governor threatened Republican members of the Senate with political retribution if they supported the remainder of the package, effectively killing the deal.